I usually cook rice on the stove, it is simple enough. But I do on occasion use the Pressure Cooker. Let sit for at least 7 minutes before releasing pressure. 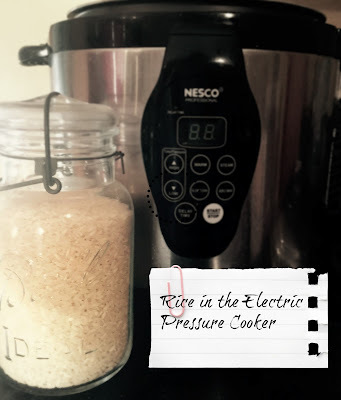 The advantages of using the Electric Pressure Cooker is that you do not have to "watch" it. You can walk away and do other things while it is cooking. It shuts off automatically and keeps the rice warm, until you are ready to use it. They are worth the money-I love mine!! Pretty neat. If I get my kitchen island built, I can have more appliances like that. My mother in law has offered to buy me one of these. She swears by hers. Very interesting post! I just found an almost new 2-quart pressure cooker at a thrift store and I snapped it up. I see from your sidebar that you have other pressure cooker recipes! That's wonderful news for me. 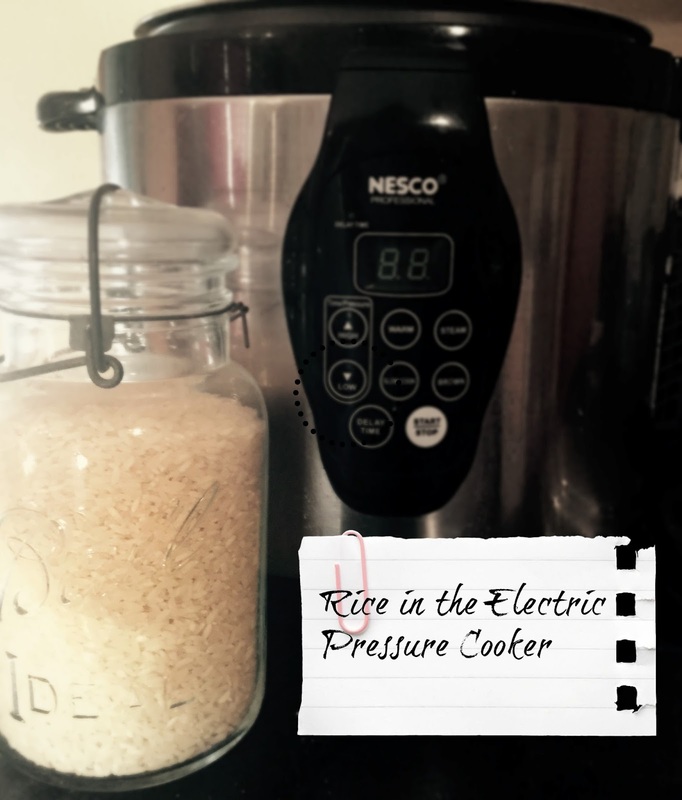 I always make rice in my electric pressure cooker now. Put the rice, water and butter in, put on lid, push button and walk away. It beeps when done and keeps rice warm until we are ready to eat. That way I can do other stuff in the kitchen to cook rest of meal and I know rice will be hot when I want. Same thing with stew. Push button marked stew and walk away. 40 min later, melt in your mouth meat. What's not to love? 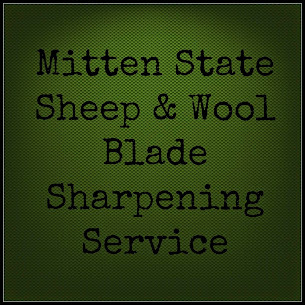 It is easily in my top three for kitchen appliance! Thanks for stopping by!